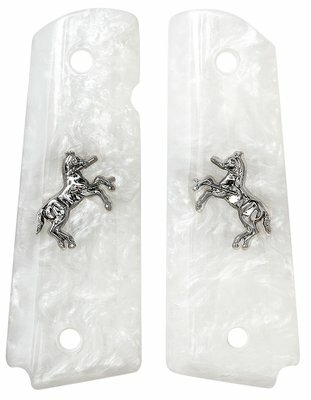 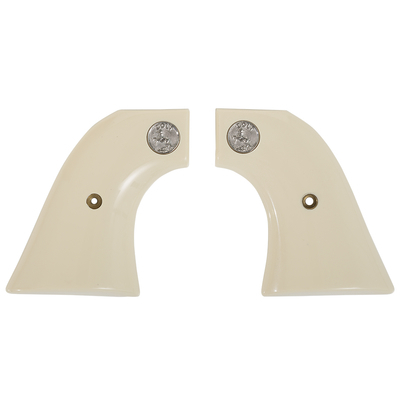 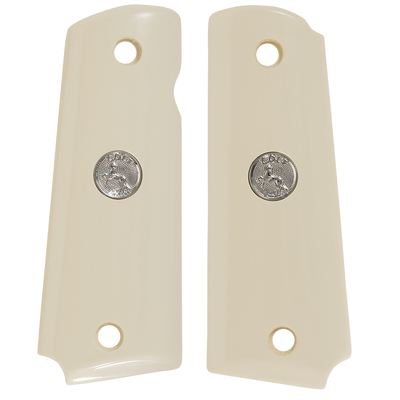 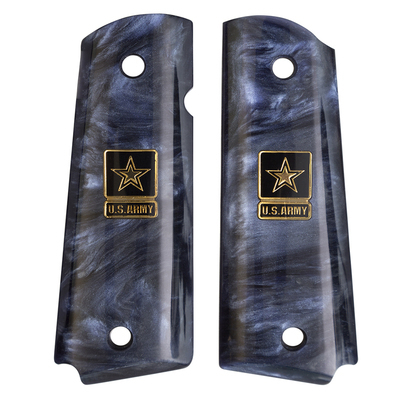 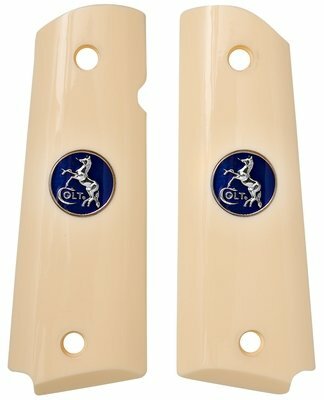 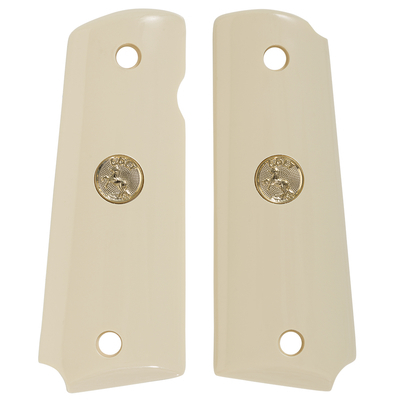 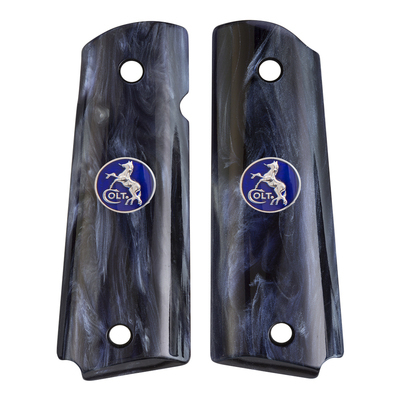 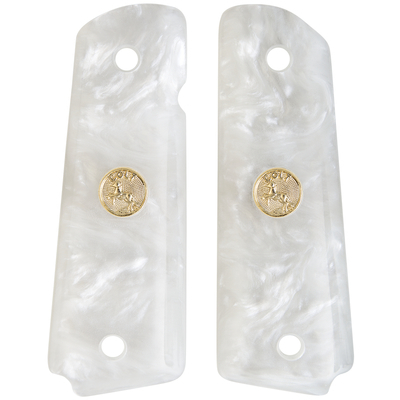 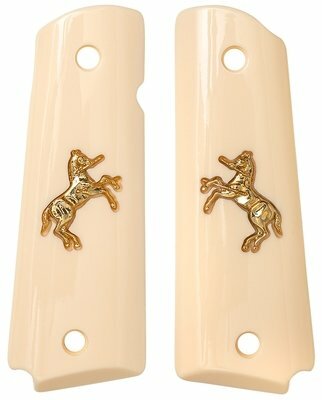 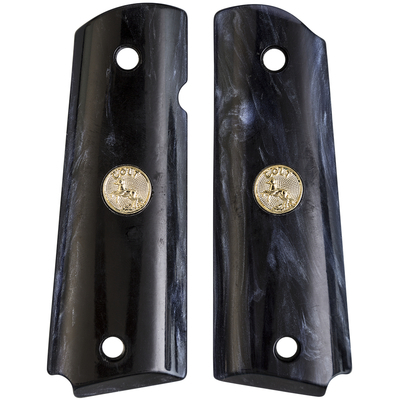 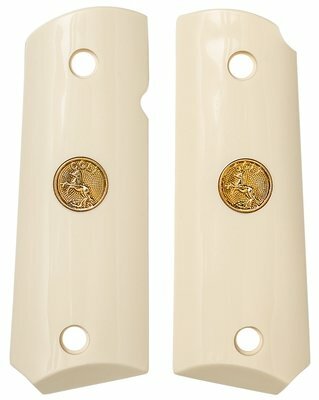 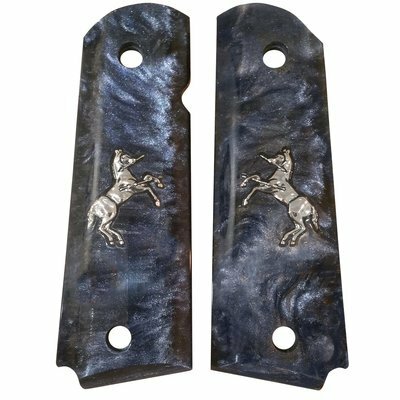 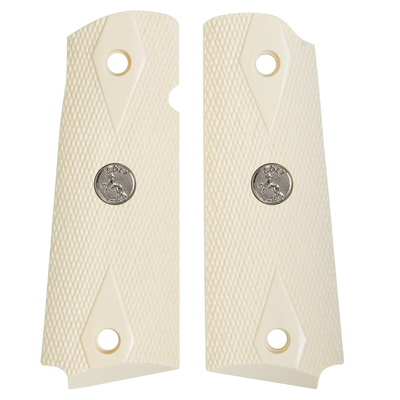 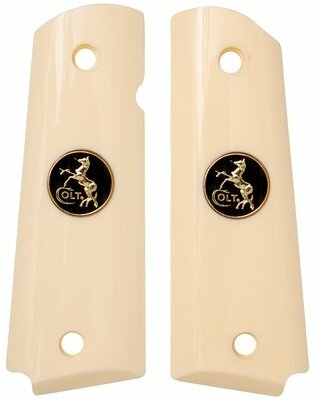 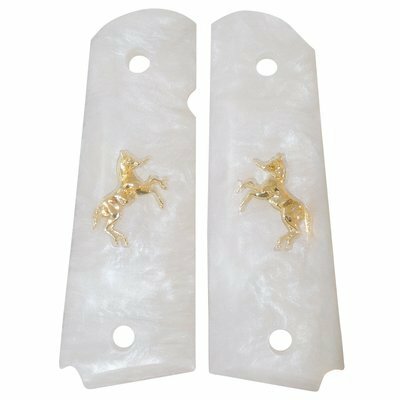 AJAX® Premium Coin Series Grips are available in most white or black Pearlite® models. 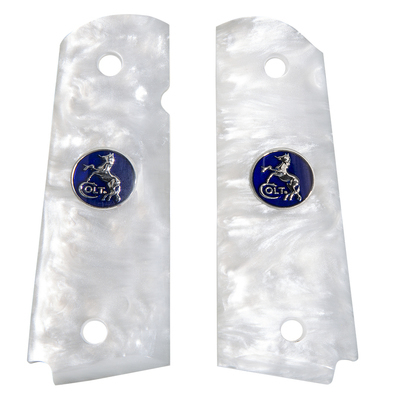 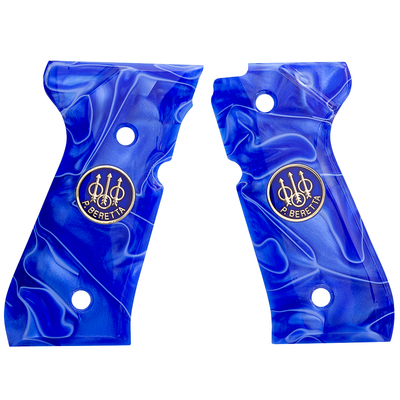 AJAX® coin inlays are made of steel overlaid with colored enamels to match most gun manufacturers factory colors. 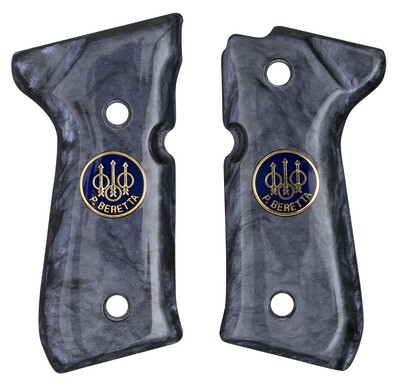 They are gorgeous and add character and a factory look to most guns. 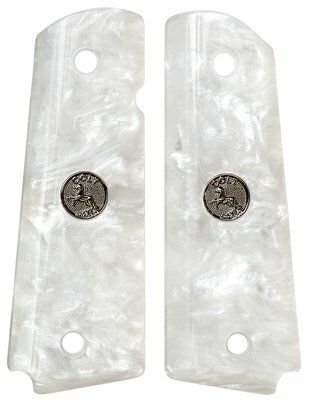 The coins are inlaid by CNC precision cut holes and finished by hand to get a clear window overcoat to give them luster. 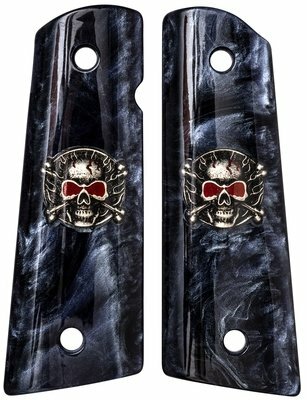 Give ‘em a look, you will love them. 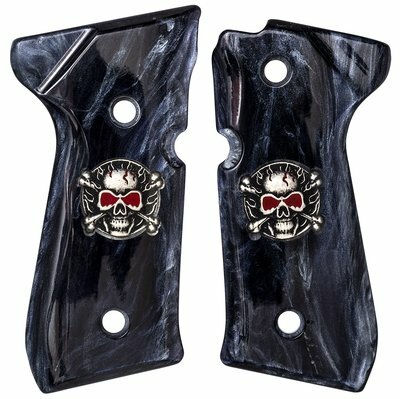 Call for availability as more models are coming throughout the year. 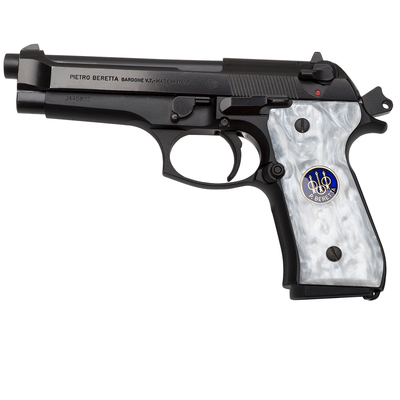 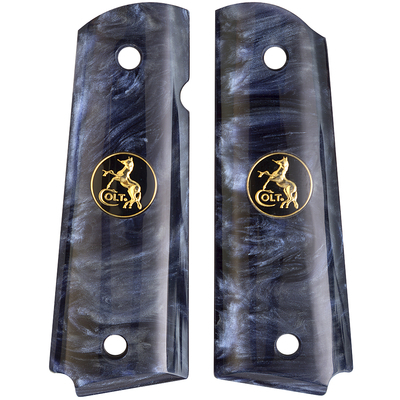 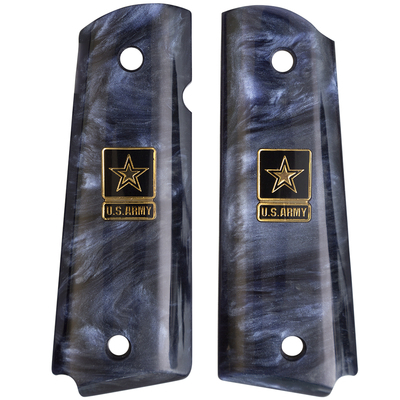 Also, Colt factory medallions are available installed on all Colt grip models. 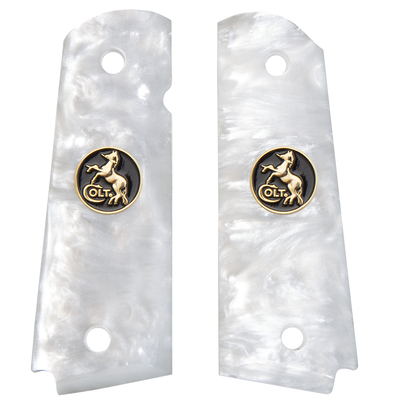 These are available in gold or silver.